When I was in my first year of teaching and my first year of marriage, I found out I had melanoma. Summer is approaching, so I'm telling my story in hopes it helps someone else. I grew up in beautiful Savannah, Georgia, and I spent my summers in our backyard pool or trekking out to Tybee Island. Days in the sun consisted of little to no sunscreen, a bottle of water, a towel and a book/magazine. I believed I looked better with some color on my skin. Lots of color. Most of my friends and family felt the same way about themselves. We even compared our tan lines. 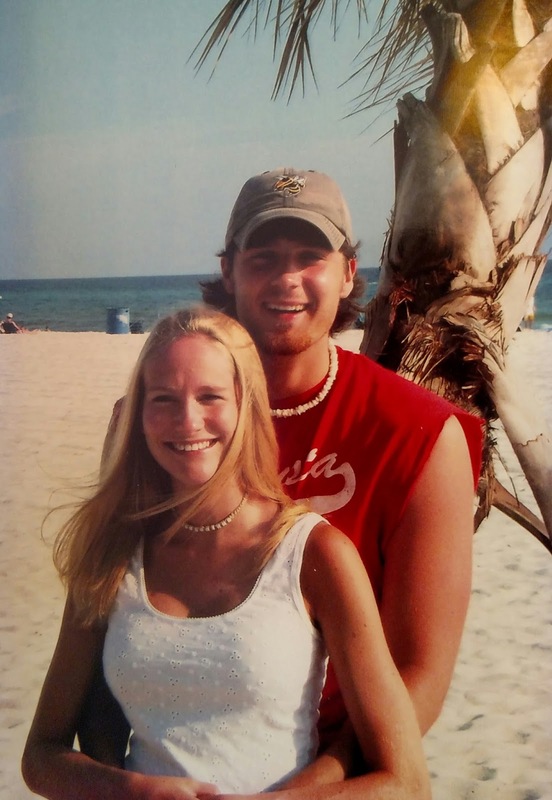 I went off to college in Atlanta, Georgia and without a pool or a beach, I would occasionally visit a tanning bed before big events like formals or spring break. There were several times when someone pointed out an odd-looking mole. But, I ignored it. No one in my family had any skin cancer issues, and my dad got very tan in the summer. I also believed I was meant to get really tan after that initial burn each season. First forward to the month I turned 24 years old. I spent some time on my teacher spring break reading books and magazines. In that month’s issue of Cosmopolitan, a woman wrote about her experience with skin cancer. 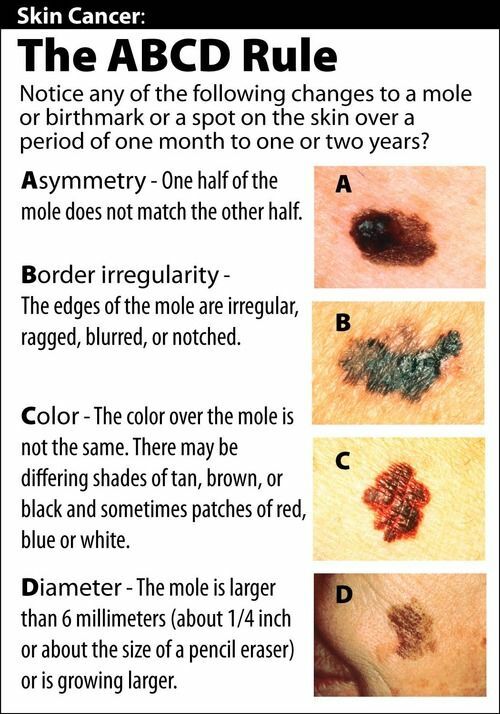 I decided that since I was a grown up, it was time I went and got the moles checked out. I scheduled the appointment and figured it was something I’d just get out of the way. The day of the appointment I should have known something was wrong. After the nurse practitioner did the full body check, she left the room, and then reentered with several colleagues and students. She proceeded to point all of my worrisome moles (there were many). They chose one mole to biopsy - the one they felt looked the most alarming. My rule: If it looks weird at all, just get it checked. I left concerned, but not overly so. In fact, they said if I didn’t hear back within ten days, it meant I was fine. The days passed without a call. So, on Sunday, I put on my bikini and headed out to my backyard to work on my tan. The phone call was very abrupt – there was no lead-up or discussion. 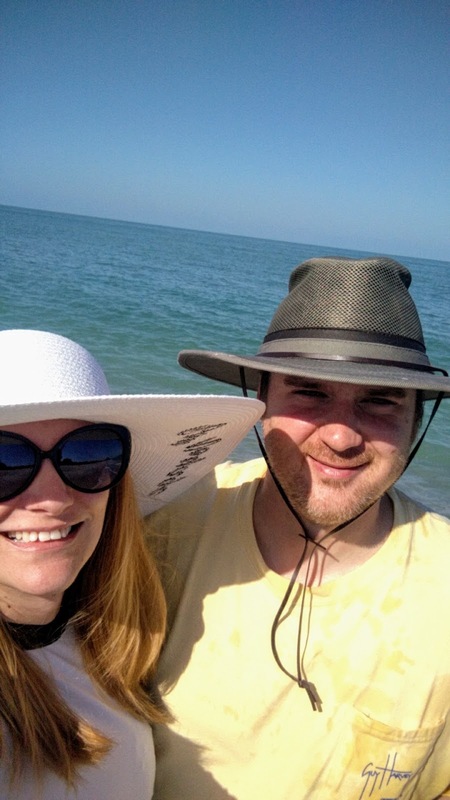 Simply, you have melanoma, and you are having surgery today. My husband left work immediately and accompanied me to the surgery. They actually let him stay in the room with me while they performed the surgery. I left that day with a large section of skin on my back removed. Soon after, I had a PETscan to see if any other cancer showed up. Thankfully, it did not. Unfortunately, that is not the end of the story. 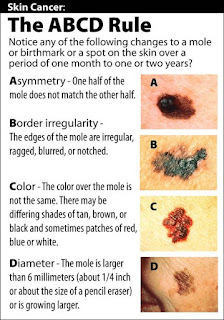 I ended up having several moles excised that were cancerous or pre-cancerous. This continued through my pregnancies. Something with those pregnancy hormones made those moles grow. This is also why I am finished getting pregnant. As of today, I have not had to have any more biopsies in almost two years, but I still go to the dermatologist every 3 months. *Update: Since this was published originally, I have since had to have another biopsy. * Since my melanoma discovery, my mom has also dealt with several skin cancers including melanoma and several basal cell carcinomas. She had to take chemo medication. I am grateful that my skin cancer was caught before it progressed and that I learned a valuable lesson about sun safety at a young age. That young woman who cared so much about tan skin now has scars from surgeries all over her body (too many to count). Vanity is pointless. This is why my kids are always coated in sunscreen when they are outside. With two generations of skin cancer, I am not risking it. I take my own sun safety extremely seriously. That girl who used to go to the beach without sunscreen and just a towel now goes with a tent, hats, rash guards, and every bottle of sunscreen I can fit in a giant beach bag. Having a tan is not worth risking my life. It is not just a vanity issue - you can die from melanoma. I want my kids to grow up with their mom so I will put on my daily sunscreen without complaint. 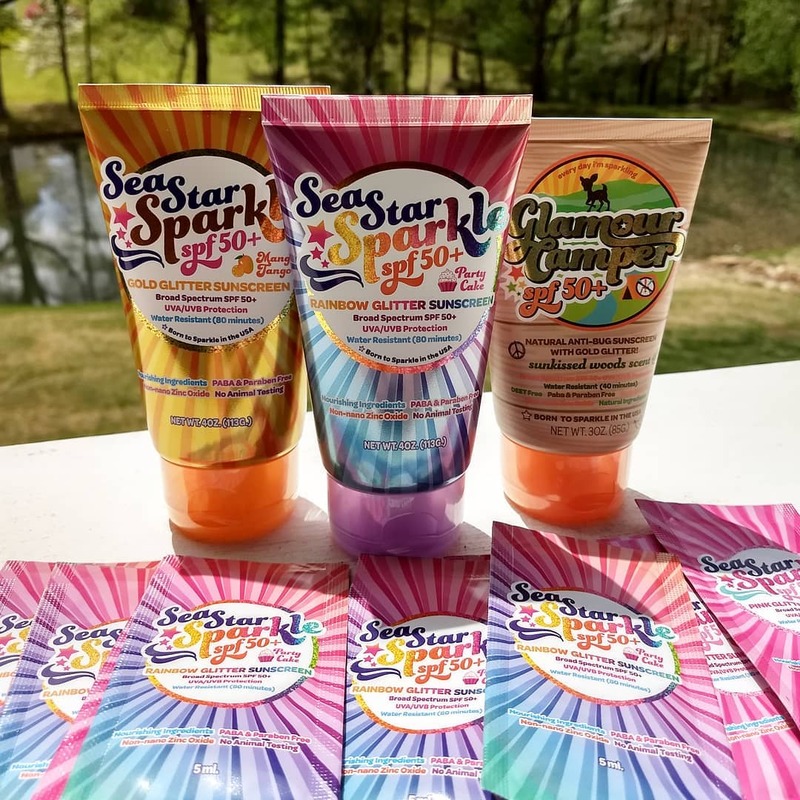 And, as of 2018, sunscreen no longer has to be boring! 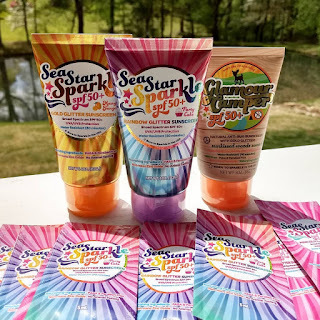 I recently added this summer fun SPF collection From Sunshine and Glitter to our outdoor bags. You can purchase them from the company directly here or on Amazon. For more information about skin cancer, please see The Skin Cancer Foundation website. This post was originally publish in May 2017.